There is only so much we can do around the house. With the DIY culture, taking over Singapore, people are putting together their beds, cabinets and other things. There is one area that is still not in the DIY category yet and it is electrical outlets. 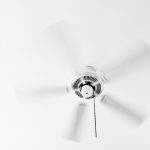 So why is fitting a ceiling light still not a DIY activity? The first primary concern with installing a ceiling light is safety. 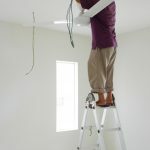 Electrical wires have current passing through them and if you aren’t careful (By switching the main off), fixing a ceiling light can he hazardous. Electricity and live wires is not something to be played with. So if you aren’t sure about electrical components and equipment, this isn’t something you should play with. The first step in installing a light is to understand all the power sources and how the electricity flows through the home. You should also know the amount of voltage that passes through a light, so when you are installing a light, you know how much is the optimum voltage that is allowed to pass. Electrical wires in a household are pretty complicated. Lights are connected to multiple switches and so on. It’s important to know how the electrical systems are connected to each other before you embark on your installation exercise. 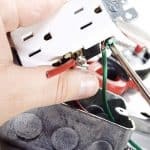 If you connect a wrong wire to the light, your whole electrical system goes haywire. If you already have a ceiling light, it needs to be removed carefully. The first step is to shut the power source completely. The second step is an extra precaution. You’ll need to use a voltage tester to see if any current is passing through. If it isn’t, you can move on to the next step. Each of these circuits require a different installation process, that is out of the scope of this article. 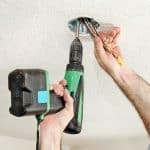 As you can see, installing a simple ceiling light is a time-consuming, cumbersome process that requires various equipments and knowledge of electrical circuitry. 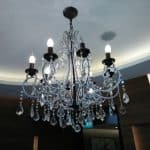 The best thin you can do to install a ceiling light in Singapore is to hire a professional electrician. 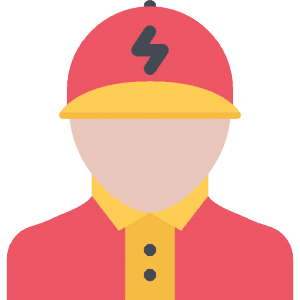 Professional electricians offer the following services. They also look into your other electrical components, to see what is working and what isn’t working. 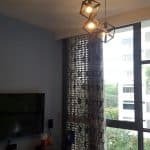 GetElectrician.sg has a wide range of expert electricians who have more than a decade of experience working across Singapore households and offices. Whatsapp us for quotes to your electrician needs today!